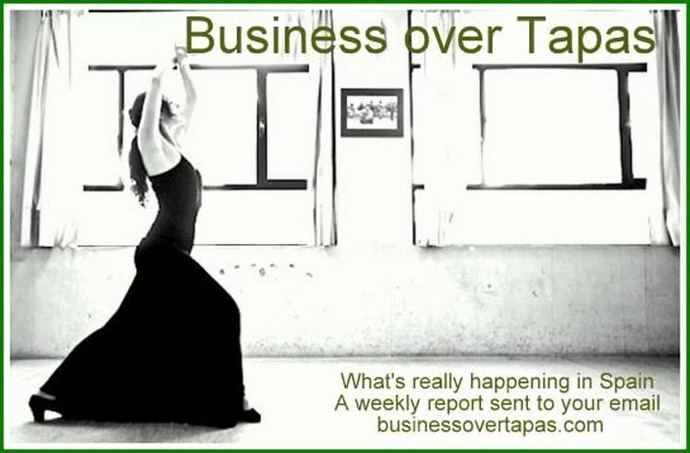 21DIC18.- For subscriptions and other information about this site, go to businessovertapas.com - email: businessovertapas@gmail.com - ***Now with Facebook Page (Like! )*** Note: Underlined words or phrases are links to the Internet. Right click and press 'Control' on your keyboard to access. Business over Tapas and its writers are not responsible for unauthorised copying or other improper use of this material. Subscription and e-mail information in our archives is never released to third parties. One of the downsides of Brexit – as far as the millions of Europeans who live in the wrong place (Britons in the EU-27 or the legions of EU-27 people living in the UK) are concerned – is the lack of information about their future. It’s almost as if no one cares. Which, of course, and excuse us for mentioning it, they don’t. The European Union was always more about trade opportunity than displaced citizens’ rights. And nowhere is this more obvious than in our supposed (and somewhat modest) political privileges. Indeed, it’s hard to even plan for power and influence when you don’t know how many people are going to participate in elections and are in doubt as to how they might vote. This was the conundrum that faced Alfredo Pérez Rubalcaba back in 1995 when his president Felipe Gonzalez, observing a small but significant change in the Constitution made in 1992, decreed that the Europeans living in Spain would be able to vote in European and municipal elections that same year. Rubalcaba, the Minister of Presidential Affairs (the man who much later substituted our residence cards for the handy A4 police letter and passport combo), was appalled. God only knew how they might vote, he thought, allowing the European residents to go ahead in the European elections (after all, you are voting for people who represent Spanish interests in Brussels) but postponing the municipal vote (claiming that there wasn’t time to organise) until the next one occurred in 1999. The constitutional change of 1992 was interesting, as it gave European residents (who now had to both register along with their inscription on the town registry – the padrón – their separate plea to vote); not only the active right, but the passive one also (or, in English, that they could now join or even lead a local political list). Some of us eventually did, and Rubalcaba will have been pleased, four years after his mischief, to note that we voted locally, for local candidates and, in short, behaved ourselves. In fact, most of us didn’t vote at all, and even today, there are only a modest number of foreign councillors scattered across Spain, in local government or in the opposition, together with just one foreign mayor, Belgian-born Mario Blancke in Alcaucín, Málaga. Most of these foreign councillors that are stretched along the coast in (forgive us) small and insignificant towns, are British, and thus under threat from Brexit. In all, there are thirty-seven of them. Proportionally speaking, the foreign residents are woefully under-represented. So, what would happen if Brexit caused those British councillors along with all other British residents in Spain to become disenfranchised as is the current scenario from the Spanish electoral commission (‘when and if the UK implements Brexit, their nationals, resident in Spain, will lose their right to vote’)? Firstly, candidacies from other EU residents, Mario Blancke as one example, would lose way with less ‘foreigners’ voting for their lists. Secondly, town halls, like any other political agency, would take less notice of a population that had no suffrage, and thirdly, the British residents themselves would be returned to that old position of ‘no taxation without representation’ (an ugly place to be, currently suffered by many other foreign nationals living in Spain). Spain indeed has bilateral agreements with some third countries. Norway was in from the beginning, later followed by Iceland and a few South American countries along with New Zealand, South Korea and (for some reason worthy, no doubt, of an investigation) Trinidad and Tobago (with 22 of them living as residents in Spain). Citizens from these countries may vote, but not present themselves as candidates on electoral lists. An article in El País this weekend changed the game-plan. It said that the British and Spanish authorities were discussing an eleventh-hour agreement to give their guests the vote, with both active and passive rights. ‘The Government hopes that the bilateral agreement would be applied already in the municipal elections of May 26th’. In this agreeable situation, we could maintain our vote in local elections, even if we were to lose it in the European ones – a small loss as things stand. ‘Agreeable’, we say, but not so for many other nationalities, those who don’t have the vote, or the right to appear on an election list. Will those nationals ask themselves once again: just what is it about the Brits? However, in a caveat which would please Rubalcaba, we read ‘...Once it is signed, the deal will be in the same category as any other international treaty and will require ratification by the Spanish and British parliaments. This will probably not happen in time for the May 26 elections next year, diplomatic sources have admitted’. Roll on the 2023 elections! ‘In order to work around this problem, the Spanish Foreign Ministry is considering the option of making the agreement go provisionally into force as soon as it is signed by both governments...’. Of course, you could just not stop our suffrage to then re-start it again. Anyway, the electoral commission says it will be sending out a letter to all registered foreigners who are potential voters. Maybe (just maybe) the UK will after all stay in the EU – either a postponement of their Brexit departure or a second referendum with a happier end (hello, Westminster, it would be nice if we were invited to vote in such an important plebiscite this time). This (apparently, hopefully, maybe, possibly) being the case, we foreign residents will still need to register to vote – by asking for the hoja de inscripción del voto – in our local town halls, before January 15th (or December 31st if you are not from the EU). Would there still be time to revise our candidate lists for next May, in the event we keep our vote? Barely. ‘The Government approves the decree that extends rental contracts but does not limit prices. The duration of rental contracts is increased from three to five years, seven years if the tenant is a legal entity’ Headline from ElDiario.es here. ‘The PAH (a group that supports those affected by mortgage issues) has brought a complaint with the National Audience against the ‘Blackstone Vulture Fund’ for causing house price inflation’, according to ElDiario.es here. ‘Neighbours may force owners of tourist apartments to pay more in community fees. The Government gives more powers to the communities of neighbours to be able to limit and conditions the tourist rent in their buildings. Until now unanimity was required, but a majority of three-fifths of the residents is now considered enough to do so’. An item found at El Independiente here. From The Olive Press comes: ‘The construction giant Quabit is investing €23.75 million into building 700 homes in Mijas, Málaga. The works, some of which are already underway, comprise 148 plots covering 79,000 square metres of land. The properties include 147 villas and 91 townhouses and are said to be designed to appeal to the foreign buyer looking for a second home...’. ‘Hacienda is preparing a raid on the owners of Airbnb-style tourist apartments’ According to La Información here. The item notes that ‘From January, the tax-office will begin to receive information from web platforms and other intermediaries giving the identity of the owners of the rented properties’. The Government will sign on Friday December 21st the new minimum wage hike of 22%, bringing it to 900€ per month. More at Eurobor here. ‘Inflation fell six decimal points in November to 1.7%, the lowest in seven months in Spain. Within the deflationary evolution, almost general across components, energy process (electricity and oil) stand out. This fall has been more intense than analysts at Bankia Estudios predicted, which is why they are cutting slightly their prediction for the next few months: It will remain about the current level in December, recover in the first months of 2019 to around 2% and close the year at 1.5%...’. More at The Corner here. Bankia has agreed the sale of €3.07bn in ‘toxic’ real estate assets to the private equity firm Lone Star, the Spanish lender announced in a regulatory filing on Monday. The portfolio includes foreclosed real estate with a gross book value of approximately €1.65bn, as well as €1.42bn in non-performing loans. Bankia will keep a 20 per cent ownership stake is the company formed to own, manage and sell the foreclosed real estate, while Lone Star will own 100 per cent of the bad loan portfolio...’. The story is at the Financial Times here. In short, Says VozPópuli here, Lone Star now owns 11,000 homes bought off Bankia, bringing this reaction from Podemos: ‘..."We Spaniards have bought Bankia with more than 20,000 million euros of public money. It is already a public bank, but it does not behave as such. It sells thousands of mortgages to vulture funds who plan to evict families”...’. ‘The larger Spanish construction companies, with a worldwide turnover of more than 1,000 million, paid to Hacienda just 1.16% of their profits in 2016, according to data released this week by the Tax Agency. Meanwhile, the main banking groups paid in tax 2.94% of their global profits, according to the same statistic...’. Item from El País here. ‘Living outside the EU should not mean paying more taxes in Spain. Brexit: a new decision by the Spanish Supreme Court minimizes its effects’. From lawyers White & Baos here. Good for employment, perhaps, and the approval of Donald Trump, we read that ‘The Government approves weapons programs for 7,300 million euros, including the construction of five F-110 frigates and 348 Dragon eight-wheelers for the Army’. El País reports here. Between one thing and another, Defence is currently spending 12,100 million euros in new equipment. The presidency and program for the Andalusian government should be finalised by December 27th, and the likelihood appear to be a government of Partido Popular with Ciudadanos; with the PSOE-A, fearful of Vox, abstaining. The minor Ciudadanos partner, led by Juan Marín, perhaps accepting the post of president. ‘Albert Rivera (Ciudadanos) says his party "won't go hand in hand with those who stand with Le Pen" and calls Vox a "populist" party’. 20 Minutos has the story here. The leader of Vox, Santiago Abascal, replies to this at El Plural here, saying . ‘Rivera, who will happily partner with anyone, despises the 400,000 Andalusians who voted Vox. If his plan is to the socialist approval, and to continue with socialism by another name and not to support change, then he should not count on us to help’. Susana Díaz meanwhile, quietly eking out her final days as president of the Junta de Andalucía, has been promoting various people to administrative posts at the rate of over one per day. The story at La Información is here. One of the problems faced by Pedro Sánchez is the loyalty of his regional leaders, known as ‘The Barons’. ElDiario.es says that, following the disaster for the party in the Andalusian elections, the Barons, led by the President of Castilla-La Mancha, Emiliano García-Page, are now feeling encouraged to openly criticise their leader. Vox has found a retired general to lead their candidature for the local elections in Palma de Mallorca next May says La Vanguardia here. In his photograph, he looks like he won’t suffer any nonsense. From El País in English here: ‘Business owners, schools and retailers in Barcelona are on high alert ahead of the Spanish government’s planned Cabinet meeting with the Catalonian authorities in the city this Friday, which is expected to attract mass protests and cause havoc in the Catalan capital...’. Ex-president José María Aznar is a hawk. El Mundo reports that ‘Aznar sees a "total intervention" of Catalonia as being "indispensable": "It's a failed community" he says. The PP is worried, says VozPópuli, that they will be totally snowed under by the (ever farther) local far-right Vox in Catalonian politics. From El País in English here: ‘Spain’s conservative leader says Catalan premier wants “bloodshed” and “civil war” Popular Party chief Pablo Casado accused the prime minister of being weak at a charged congressional session’. ‘Spain's Supreme Court held a preliminary hearing on Tuesday ahead of the start of a high-profile trial of 18 Catalan separatist leaders over their role in last year's failed independence bid...’. More at The Local here. A historical lesson by the Moviment Republicà Català in English (video) here. Viewing may need a pinch of salt? In a fresh blow to the Partido Popular, ‘The Rey Juan Carlos University asks for four years in prison for Cristina Cifuentes for the falsification of documents in the Master's case’. The story is at ElDiario.es here. From The Local here: ‘For many of the 1.2 million Brits living in the EU, as well as the three million EU citizens in the UK, a no-deal Brexit threatens a spate of life-changing repercussions. And the process is taking a toll on people's mental health. “The whole Brexit process has been incredibly abusive and traumatic,” Denise Abel, formerly a psychotherapist for 30 years in the east of London, told The Local from her home in central Italy. “Keeping people in limbo for over 900 days is abuse,” she added, referring to the time that has passed since the shock referendum result...’. A similar story comes from Euronews here (with video), centred around Mijas: ‘'Brexpats' in Spain worry about their future’. The upcoming European copyright law (here we consider Article Eleven and the proliferation of ‘fake news’): ‘How the new copyright law is going to make the Internet a much less reliable place’. El Confidencial looks at the potential difficulties of crosschecking or removing hoaxes and fake news items from the public consciousness. Sites like the anti-fake news Maldita (here) could be closed down following the proposed law. From next year, electric vehicles must have a motor-like sound built in to warn pedestrians of their passage, says Academia del Motor here. From The Olive Press here: ‘Revealed: What’s really behind the surge in ‘narco-terrorism’ on Spain’s Costa del Sol as a record €100 million cash and 40 tonnes of drugs are seized’. Vox gets hacked by ‘Anonymous’ and the details of their 30,000 followers are copied. The story is at Marca here. Things don’t end there. Vox can face a fine of up to 500,000€ for not protecting its private data appropriately, says El Mundo. Thank Goodness for immigration, says El Huff Post here. ‘Immigration - that vilified phenomenon, the black flag of the right and the far-right, which stirs up fear by blatantly talking about stolen jobs and systemic delinquency - is in reality, saving our country. Literally, Spain is more with them. The increase in the number of foreign arrivals in our country in the first half of this year has served to compensate for the demographic decline that has occurred in those six months due to the fall in births and the increase in deaths...’. Despite the fall in Spanish births reported in BoT last week, Spain’s population grew in the first six months of 2018 by 121,564 souls and, by the end of this year stands at around 46,850,000 residents. Almost a taboo subject, ‘Suicide deaths increased by 3.1% in 2017 and outnumbered road traffic accident victims’, says 20 Minutos here. In all, 3,679 died at their own hand last year – against 1,943 traffic fatalities. In all, 408,686 people died in Spain in 2017. From Medical News Today comes ‘The Mediterranean diet reduces cardiovascular risk by a quarter’. ‘...In a nutshell, the diet is rich in plants and olive oil but low in meat and sugary products. Over the years, studies have concluded that this eating pattern lowers the risk of various health issues, including coronary heart disease and stroke. Studies have even concluded that the Mediterranean diet might extend lifespan in older adults as well as reduce the risk of Parkinson's and Alzheimer's. Evidence is mounting for its health benefits, but scientists still do not know exactly how these benefits come about...’. A hospital in Catalonia uses a nice trick to lower stress for children on the way to surgery. You’ll need to see the photograph at El País here. International schools are all the rage in Spain (for those who can afford them), but not all the English-speaking teachers can, er, speak perfect English, says El País here. One must stretch a bit sometimes to find reasons to criticise the clean-up of Madrid’s pollution, engineered by the left-wing mayoress Manuela Carmena. El Mundo is triumphant: ‘Parking lots lose 50% of customers after the entry into force of the Madrid Central traffic rules’. You will see versions of this in every expat publication this week, as part of their Christmas spread about lotteries, villancicos, turrón, the three kings, galas, cotillones and so on... Caganers (Wiki): ‘What do Trump, Puigdemont and Freddie Mercury have in common?’, asks The Local here. Your weekly guide to saving in Spain is at Money Saver Spain here. Here are seven of the nicest cities to visit in Spain over Christmas, with Ellas Hablan here. Molly at Piccavey takes us around Granada at Christmas here. Enjoy eight interior villages from Almería, with nice photos, from Hola Magazine here. Wise words from Harald in issue 282: "One must listen to the voters' voice - not the politicians". UK Parliament, please take note! There will be no Business over Tapas next week (after we get into Santa’s whisky). We are back on Thursday January 3rd 2019. Those readers with Facebook can keep up to date with our page here. Felices fiestas. Here’s a seasonal song from Johnny Winter.